It seems like everywhere you turn Amazon has its name on something new. The company has even launched its own grocery delivery service. Is there such a thing as Amazon Coupons? How do you save money on Amazon? So, first thing’s first. Yes. Amazon Coupons are a thing. Because Amazon has been marketing itself as the “smartest choice” for shopping, entertainment, and many other needs, they knew that at some point they would need to adhere to the desires of more traditional shoppers. This meant introducing coupons. Amazon Coupons are way better than more traditional cut-out-of-the-newspaper coupons though. The best part of Amazon Coupons is that you get new savings every day and the coupons are catered to your shopping patterns. For instance, if you shop on Amazon for cleaning supplies you will get coupons for cleaning supplies. To find your Amazon Coupons you will need to sign in to your Amazon account. Click on “Today’s Deals” on the Amazon homepage. Then select “Coupons” in the top menu on the next page. Amazon makes sorting through things fairly easy though. You can search popular coupons as well as search coupons by the department. (Amazon Coupons includes items like makeup, health & beauty supplies, food items, and many other great items.) 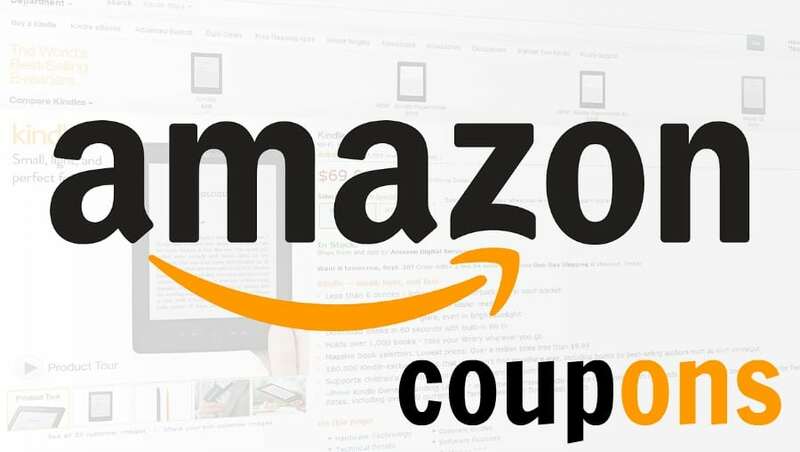 Once you’ve found a coupon you’d like to use, simply click “clip coupon.” Amazon has made checking out with coupons extremely easy. You’ll then be redirected to the product page where you can add the discounted item to your cart. You can then continue shopping or checkout. The discount will be applied at checkout. It should be noted that some coupons are only available to Amazon Prime members. (See: Is Amazon Prime Worth It?) However, what other rules and restrictions apply to Amazon Coupons? You will not be able to use a manufacturer’s coupon on Amazon. But, with all of the coupons available through the website, not too many shoppers are complaining. There is a way you can stack coupons on Amazon though (without using manufacturer’s coupons). When you think about stacking coupons you think store discounts and manufacturer’s coupons, right? Well, you can stack discounts on Amazon as well, and it can save you astronomical amounts of money. Start planning your savings by mapping out what items are on sale. For example, if Amazon is running a sale “20% off all baby items,” you can target those items to use to stack your discounts. Then look through the Amazon Coupons provided on the site. Find the item you’re looking for in Amazon Coupons. Once you’ve found it, click “clip coupon.” This will bring you to the product page where you can add the item to your cart. Once you’ve done that, head to checkout. At checkout, your coupon will be taken off as well as the Amazon discount provided. And, if you’re lucky, you may be able to save even more. You may be lucky enough to have an Amazon coupon code for additional money off. Amazon shoppers can stack this with other savings as well (as long as it isn’t noted otherwise in the information detailing the discount code). There is no doubt that Amazon is pushing to help its customers become smart shoppers and offer them the opportunity to save. Have you used Amazon Coupons? How much did you save?